We had some light snow last night and got around an inch. 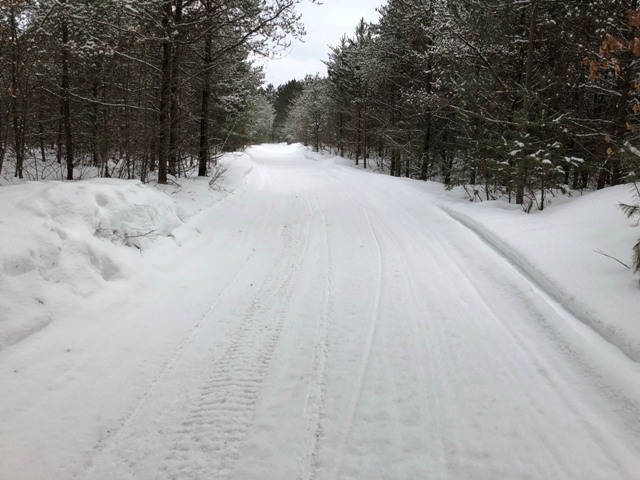 I headed out for a ride hitting some St. Germain, Eagle River, Lake Tomahawk and Sayner trails. None of the trails I rode had been groomed. They ranged from pretty smooth with some bumps to getting bumpy. Trails were “rutty” from sled tracks that froze up so they had a hard, twitchy feel to them. 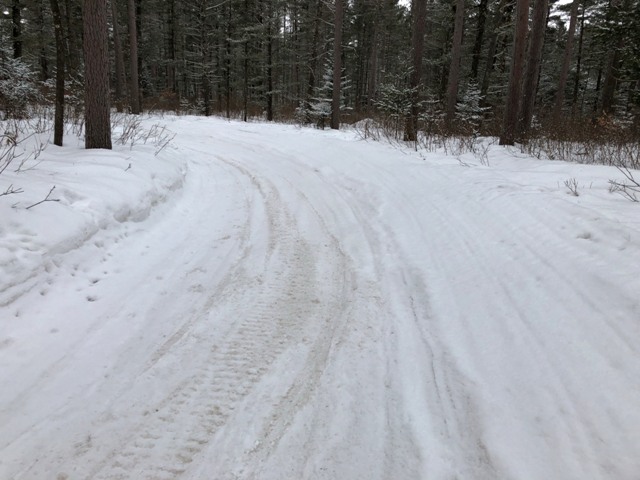 Some insides of corners are thin on snow with bare spots and plowed road trails vary from still a good ice base to bare pavement showing. Most trails I rode still have a good base on them. I found a few puddles – some small and one big one. With the varying conditions it’s hard to put an overall ranking on the trails. Based on the ones I rode, I’d say majority are fair. That being said, a grooming would elevate a lot of what I rode from fair to good or better. 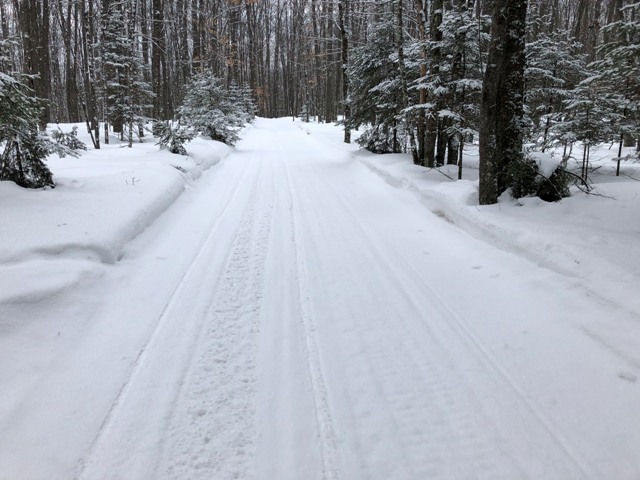 Since none of the trails I rode had been groomed last night, it makes me wonder if these clubs are done for the year – have to wait and see. Lakes are nasty. 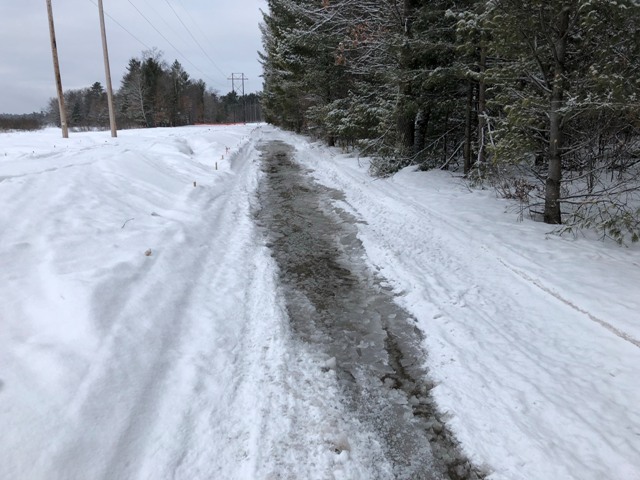 Be careful of frozen ruts from where sleds ran through deep slush and now it’s frozen. If anyone wants to do any riding, now is the time as the forecast this coming week looks to end the season. I’m hoping the local clubs will groom at least one more time to give us some good last minute riding.